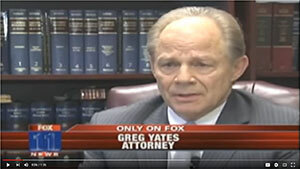 Mr. Yates is at the hub of all cases handled by the law firm of Gregory A. Yates, P.C. He only associates attorneys with the firm who agree with his work ethic and dedication to the clients. 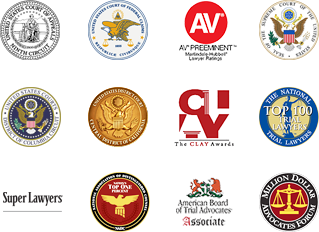 When you are a client of Mr. Yates’ law firm, you know that you will receive the best service and the best possible results. Mr. Yates came to California in 1974 and has practiced law here ever since. From his office’s current location in Encino, he and his associates handle cases in Los Angeles County, San Bernardino County, Orange County, Ventura County, and Riverside County. Mr. Yates has been at the hub of many significant cases: not only the Rampart corruption scandal where he represented 60 clients and uncovered a system where the police framed individuals for many different crimes, but also several motor vehicle defect cases and other product liability cases where manufacturers actually recalled and fixed or reengineered dangerously defective products as well as catastrophic injury cases including over 100 traumatic brain injury cases. Mr. Yates and his associates are skilled in dealing with wrongful death cases, dog bite cases, serious motor vehicle accident cases, and attorney malpractice cases as well. The firm handles class-action cases as well as individual cases, and can associate with additional attorneys as needed for very complex cases or cases involving a large number of plaintiffs. If you have been seriously injured or believe that your previous attorney did not handle your case appropriately, contact the firm to set up an initial consultation about your case. Mr. Yates’ experience and skill, coupled with the knowledge and expertise of his associates, will help you get the best possible result in your case.